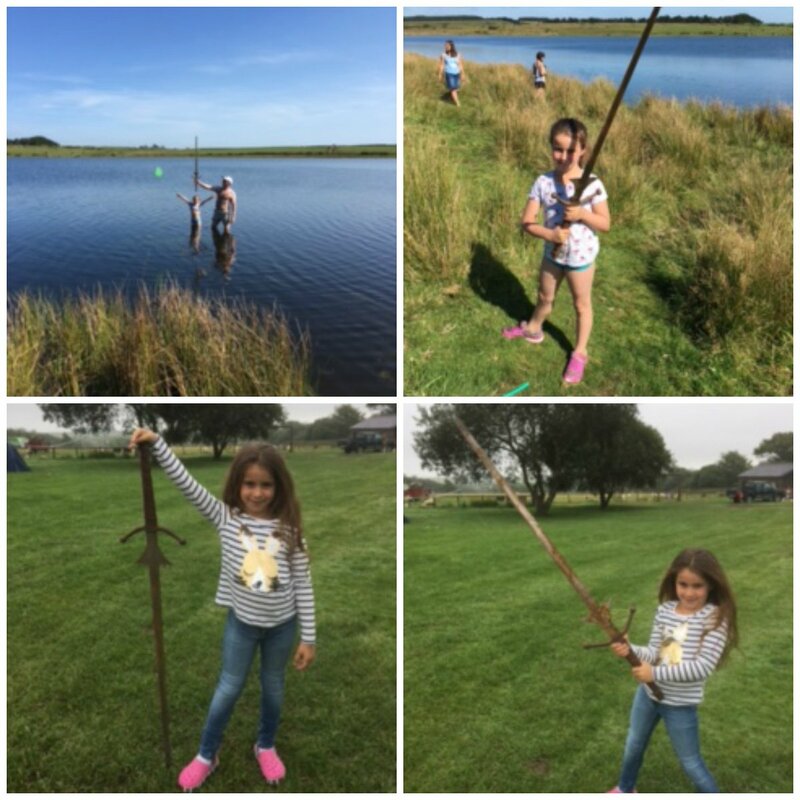 A seven-year-old girl literally felt a legend coming to life as she unearthed a huge sword from the same lake King Arthur’s Excalibur was said to have been thrown. A sceptical father, however, said he does not believe in the sword’s fabled origins. Matilda Jones from Doncaster in the UK found the 4-feet (1.2-meter) sword when she went swimming in Dozmary Pool in Cornwall. Matilda’s father, Paul, had just told her and her sister about the legend of King Arthur as they drove to the lake. The two were paddling in the lake when Matilda is said to have made the discovery. "She was only waist deep when she said she could see a sword,” Paul told the Star. "I told her not to be silly and it was probably a bit of fencing, but when I looked down I realised it was a sword. It was just there lying flat on the bottom of the lake." King Arthur is a legendary folklore figure who is believed to have led the indigenous Britons against the Saxons in the late 5th and early 6th centuries. According to mythology, Dozmary Pool is where Sir Bedivere threw King Arthur’s sword after he died. When Bedivere threw the sword into the lake, an arm appeared and grabbed the sword. "I don't think it's particularly old, about 20 or 30 years old,” Paul said, referring to their lake find. “It's probably an old film prop."